Event Details: Games and booths & arts and crafts! We will have a bouncy castle, climbing wall, dunk tank and much more! All witches and wizards welcome; we will have a magical time at this years Octoberama! Tickets start at just .50¢. Dress up your kids and your dogs and OWANA will provide the iced coffee and breakfast tacos! Hot dogs, snow cones and Tiny Pies! 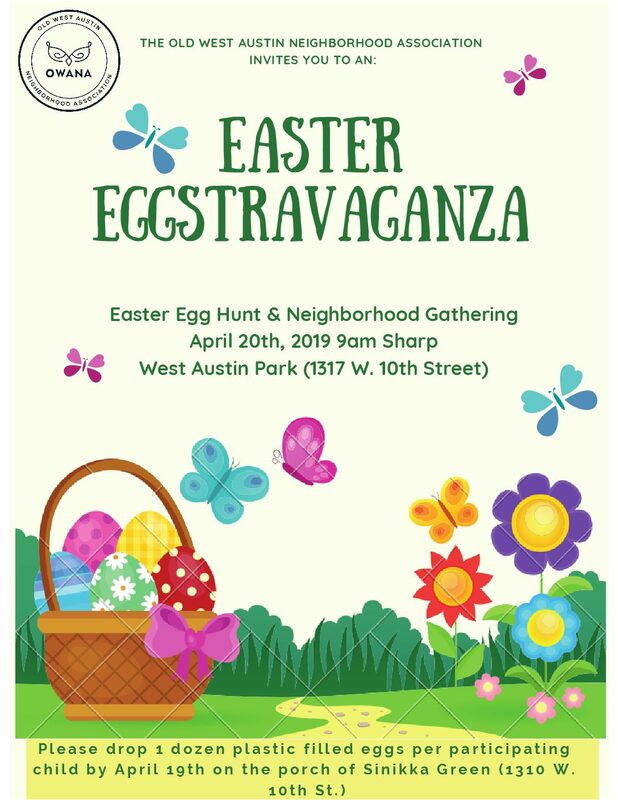 Bring a blanket and picnic to the downtown West Austin Park for a free concert and picnic, hosted by Old West Austin Neighborhood Association (OWANA). Playscape, Dog Park, Kickball Field! Tamale Addiction will offer four types of tamales (pork, chicken mole, one vegetarian and one vegan) + drinks (sodas/water). Music by Jeff Plankenhorn. The Melting Potluck is a co-host of the event promoting diversity through music. Join your neighbors for a Summer Kickoff Party this Thursday, June 1, 2017, starting at 3:15pm in West Austin Park! Games! Live Music! Kona Ice! Revelry! And More! Clarksville Christmas Caroling – December 10! Join us Saturday, December 10, 2016, from 6-9pm starting at the Historic Haskell House (1703 Waterston) for caroling, seasonal refreshments, and a special visit from Santa for the kids. Frances Barton will lead the carolers in a warm up at Haskell House at 6pm and then everyone will walk to a couple houses in the neighborhood. Refreshments — including hot chocolate and wine — will be provided by Zocalo Cafe and Nightcap.